The dignitaries HH Sri Sri Sri Chinna Jeeyar Swamiji, Dr Pavuluri Krishna Choudary, Mr J Jagapathi Rao along with other guests garlanded Dr Samuel Hahnemann’s portrait and lighted the lamp. The first speaker was Dr Nimai Chandra Dhole, Professor, Dept. Of Practice of Medicine, JIMSHMCH. He has spoken in brief about the “Origin & History of Leprosy around The World and In India”. His talk was well appreciated by the audience. Dr A Paramananda Prasad Babu, National Consultant, NLEP, Telangana State has emphasised about the “Social Impact of Leprosy.” with his vast knowledge on the field of leprosy. He profoundly enlighten the audience. Dr S M Sudhamathi, Assoc. Professor, Dept. of Community Medicine, JIMSHMCH presented on “National Leprosy Eradication Program.” She highlighted state wise statistics and the achievement of Govt. Organisations & NGOs regarding leprosy treatment. The future Strategy of WHO also Highlighted. Audience understood the exact Leprosy scenario in India and abroad. 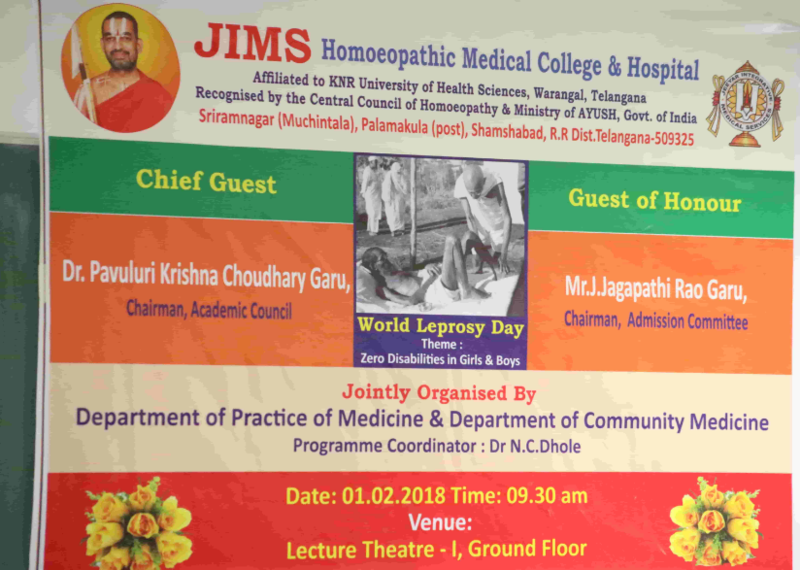 Dr Sunitha, Dermatologist & Microbiologist, JIMS-HMC&H explained very nicely about the “Modern Version, Clinical Aspect and Treatment Aspect of leprosy”. She went in depth of the subject and audience liked it so much. Professor, Dept of Organon of Medicine, of JIMS-HMC&H , Dr Anjali Prabhu Chodnekar explained at length about “Hahnemannian References of Leprosy”. Where she has given Hahnemann’s thought on ancient Leprosy & Miasmatic expressions in details. It was well appreciated by the audience. 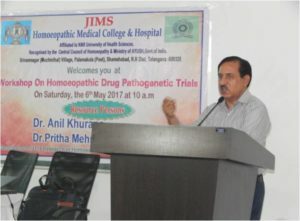 The Guest Speaker of the seminar, Dr Dilip Bhaskar Dixit, an Eminent Senior Homoeopathic Consultant from Mumbai has explained how he could cure more than 3000 leprosy cases during last 30 yrs. He explained with case presentation which was very much attractive. He explained the miasms of Leprosy according to the classification of leprosy. The presentation was wonderful and everyone enjoyed his session. Dr Pavuluri Krishna Choudary, Chairman Academic Council, critically analysed the speakers observations and gave his conclusive remarks of entire session meticulously. HH Sri Sri Sri Chinna Jeeyar Swamiji gave the Mangalasaasanams and appreciated the speakers and the Resource person for their valuable inputs. 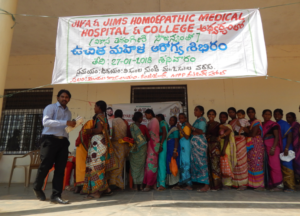 HH Swamiji advised the students to love the Homoeopathic system first, if wants to become a true physician. HH Swamiji felicitated all the speakers and guests. Mr D Raghupathi Reddy, Administrator, JIMS Hospital was specially felicitated by HH Swamiji for his work on leprosy in 1980’s with Lepra India. 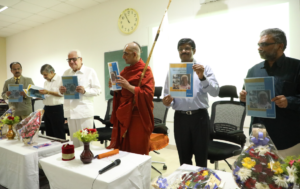 Swamiji also distributed the booklet “GLOBAL LEPROSY STRATEGY 2016-2020” formulated by WHO.